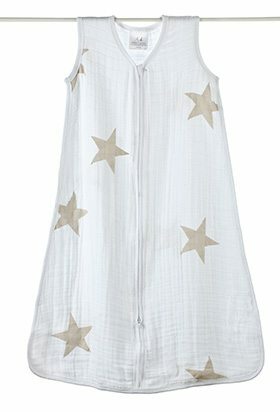 aden + anais® sleeping bags are designed to be worn over a baby pyjamas, ensuring a safer nights sleep by eliminating all loose blankets in the crib. The classic collection is a single layer of 100% cotton muslin. Mothers around the world have turned to natural muslin to care for their children for countless generations. 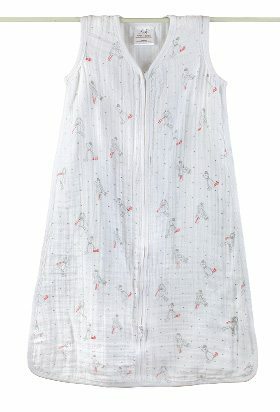 The aden + anais® sleeping bags brings this lightweight fabric into the 21st century with colorful, stylish prints and an effortless design to keep a night’s rest safe, comfortable, and peaceful. Available in both a single layer of muslin and four layers of muslin to keep baby comfortably warm during cool nights, and brisk walks in the park.